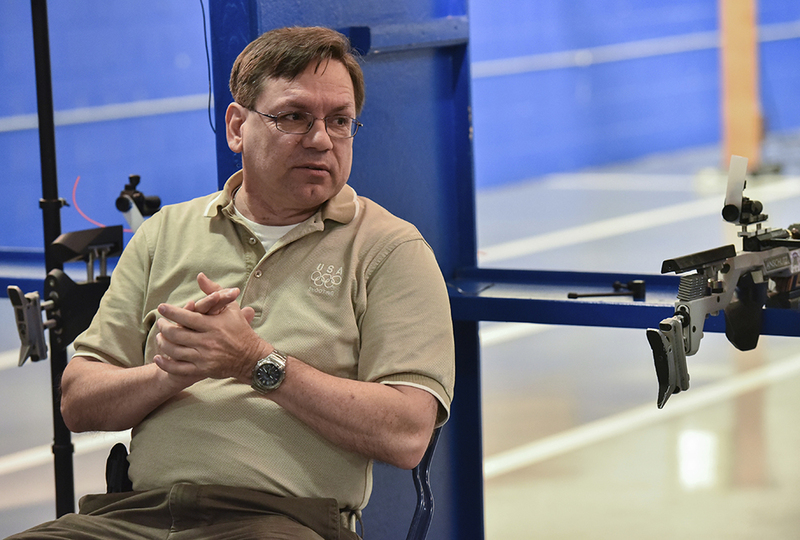 While some students are protesting gun violence, gun ranges around the country are full of teens and young adults practicing shooting skills—and talking about the positive influence of firearms training on their lives. 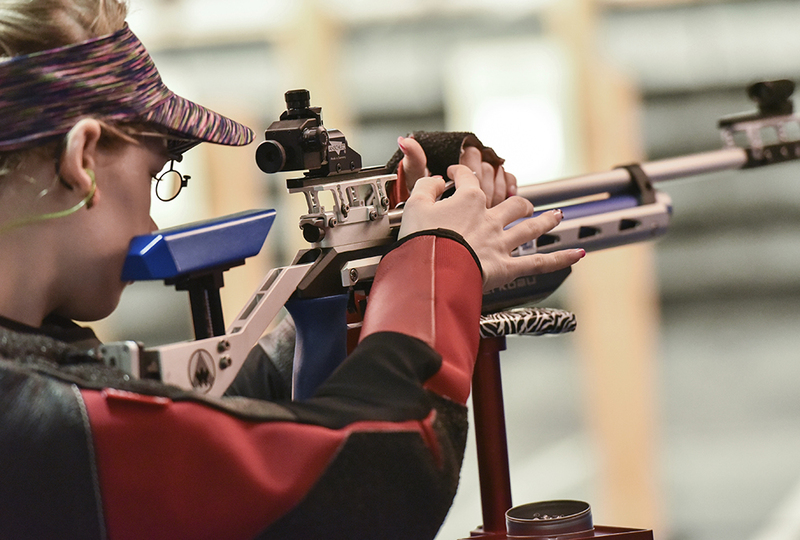 According to the National Shooting Sports Foundation, about 5,000 high schools and universities around the country have shooting teams. 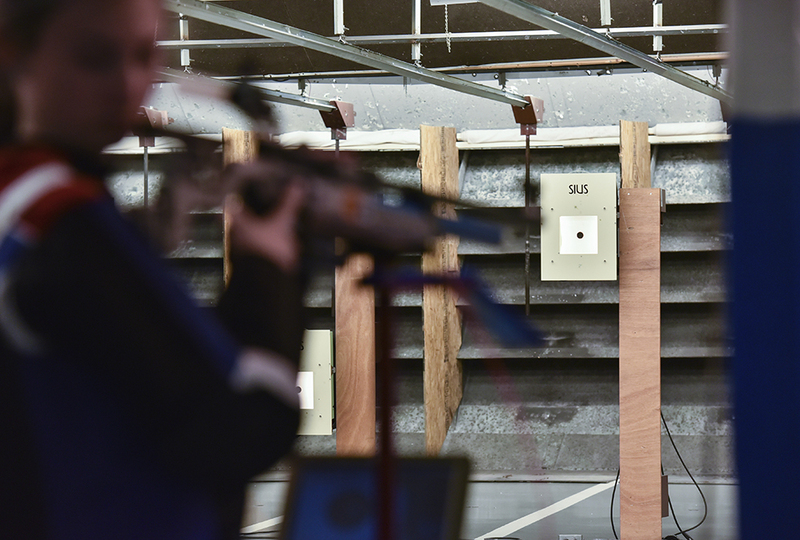 The clubs use a variety of firearms—from air rifles that shoot pellets to 9mm pistols that fire bullets. Members invest hundreds of dollars in stiff uniforms and stable, supportive shoes for spending hours standing, kneeling, or lying prone to fire at targets. Some members hope to represent the United States in the Olympics. Some simply love the camaraderie and mental focus required to shoot well. 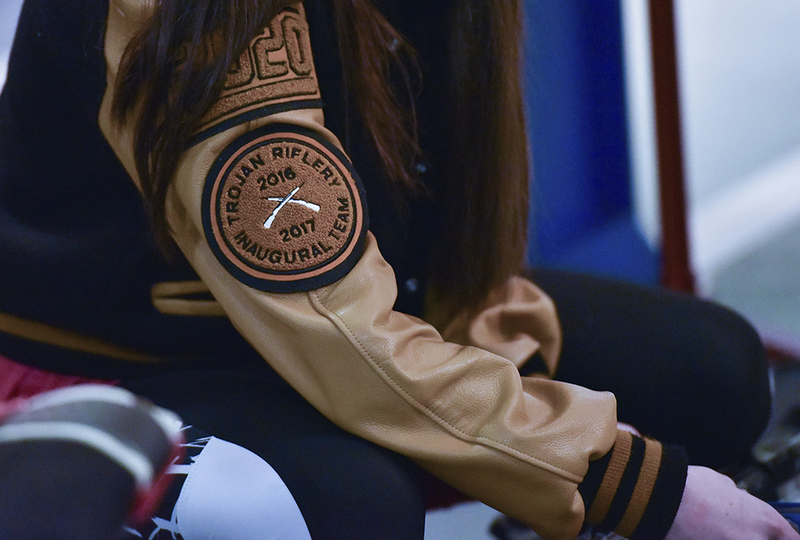 On a recent weekend, high school and college gun team members gathered in Georgia. They were there to work with JP O’Connor, a coach connected to USA Shooting, the Olympic organization. Many students attended the event with their parents. The adults had no qualms putting firearms in the hands of kids—many of whom are too young to drive a car or vote. Participants, coaches, and parents say there’s an enormous difference between someone bent on violence and members of a shooting team. O’Connor believes when people are educated about guns “we’re actually safer.” He says shooting clubs focus on safety and teach basic life skills. Like what? Patience, self-control, and responsibility for starters. Great shooters don’t just load and shoot. They take each movement slowly—including controlling pulse and breathing. Lydia Odlin grew up in Maine. In the rural parts of the state, hunting is prevalent. 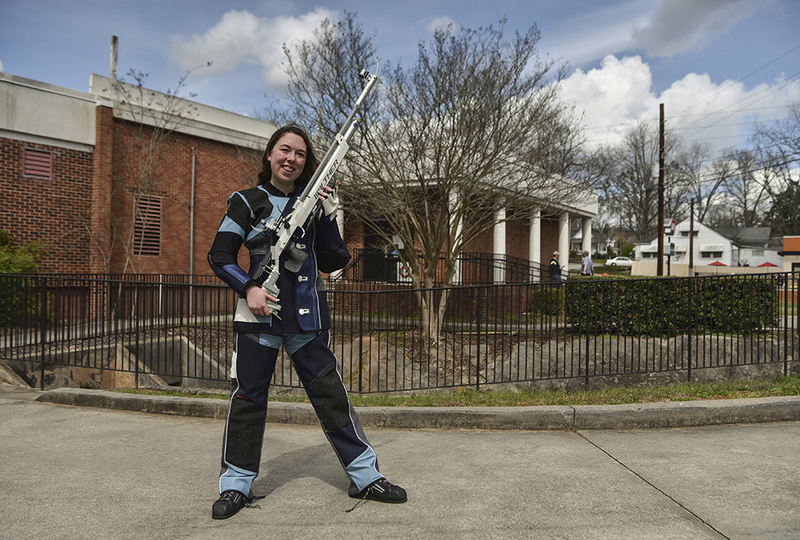 But in the southern part, she couldn’t even wear her rifle team’s T-shirt at school. “You just kind of avoided the topic of guns,” she says. "Members invest hundreds of dollars in stiff uniforms and stable, supportive shoes for spending hours standing, kneeling, or lying prone to fire at targets." I feel your spending a lot of money on stuff you dont really need. Its cool how theres gun clubs and all but i think its not nessesery to pay that much just for a gun club. That's pretty cool. I think it's the learning that really matters, not the money. I also like how it says it focuses on safety and basic life skills. So many people are against guns. Being educated in guns and fun safety could stop more shootings. I would love to be in a gun club. This is awesome! I think it would be great to be in one. I agree, Sarah K, the more people are educated about guns, the less they will be afraid of guns and other things. I would enjoy being in a gun club too! guns in SCHOOLS that is craze that blows my mind unbelievable? They allow guns in schools I personally wouldn't want to do it cause that's to much money,and way to dangerous but it cool they do that seems like an accident waiting to happen but still cool personally i say karate so much better. I`m sure the students don`t carry the guns around during the school day, THAT would be bad. The club in itself is fine. In 2015 there were almost 450 accidental deaths by gun. I think gun clubs are neat, but I'd want to keep it out of schools! Even if that's true Alyssa, it still doesn't mean it isn't a good idea. Learning how to shoot guns safely in a controlled, supervised environment may be much safer than those same kids learning in the backyard. I think it really depends on the school itself, the student body, as well as administers. I defintely think it shouldn't be for every school and that if strong safety guidelines arn't enforced it can be very dangerous. However, if a school is responsible and competent enough to be able to safely and effectively teach kids this and also at the same time teach them gun safety and reasons that guns shouldn't be treated lightly I believe that its a wonderful idea and skill. Just remembering caution in that, especially in todays world/culture. Though I agree that putting guns in schools might be a bit far at the moment, a lot of those accidental deaths could be prevented by simple education, which you get at schools. Perhaps we should start teaching people about guns in schools, just not practicing shooting in them? I think they do teach the kids gun safety. "Guns never killed people, people kill people" says the saying. So to be honest, the whole gun violence protesting is kinda unnecessary. We need much better background checks. You're required to have completed an official gun safety course, have your gun safety certificate, and be over 12 to participate. Thanks for the info Tristan! I took the gun safety course online, and then I had to go to a field day. I agree. Shooting is an excellent sport. Gun safetey is a huge part of this. to me personal defence is great to know and use. i am also a practicing archer and that sport is fun and safe. for those who think this is dangerous it is perfectly safe. all the members must have good integerty and know gun safty well. personally i would pick airsoft over all of these because it is legal in 49 states ( not in new york) also all sports that promote marksmanship is a key asset for police forces and the military academys around the states. so to sum it all up this seems perfectly safe to do and particapate in. I think this is a great idea. We should raise awareness about guns, and I wish there was club's like this for homeschoolers (because I'm a homeschooler), and I agree with Rui P, public school's are spending too much on stuff they don't really need. I don't think that this is safe at all! So many school shootings... and then some schools decide to have GUN clubs!! If one person had carried a gun protectively, lives would have been saved. We live in a sinful world,and the violence is overwhelming! My uncle carries a gun to church, for protection of the church. Gun clubs get an O.K. from me. By the way, Micah H, my brother's name is Micah and his last name starts with H! 4H is a good program and has a gun club in a pre school! I from nj and just moved to va where we heard of it. We where mind blown!!! I think it's important to learn about guns and that it might help some of the shooting problems. But I can't belive it's at a school. Wow. Have any of you all taken the hunter safety course? I did, like I said above. My name is Micah too! I love to shoot guns, but I live in the middle of nowhere. And don't think that shooting at school ( inside city limits ) is a good idea. I've taken it, about three years ago. theres gonna be that one kid that doesnt like their teacher, then all of a sudden bang bang! I think gun clubs are great. about it being bad. It is good because you learn what the effects of shooting a gun can be. My dad said that most people that start a shooting don't even realize that you die because they play so many video games that have more than one life in the game and they don't even realize what the real world is like!